The results have knocked Australia’s highly concentrated supermarket chains, with both Coles and Aldi withdrawing all their fruit with a nervousness that has not been seen in years. A spate of incidents involving “contamination”, or pins stuck in the fruit, have manifested across a range of outlets. 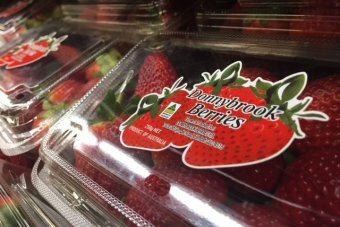 Strawberry brands including Donnybrook Berries, Love Berry, Delightful Strawberries, Oasis brands, Berry Obsession, Berry Licious and Mal’s Black Label have made it onto the list of needled suppliers. There have been possible copycat initiates doing the rounds. Others such as Anthony Kachenko of Hort Innovation Australia have also moved into a mode of reassurance, a salutary reminder that Australia remains in the stratosphere of food excellence despite such adventurous despoilers. Sabotage it might be, but it was surely isolated, a nonsense that could be dealt with surgical accuracy. The food science fraternity are being drawn out to explain the meddling, pitching for greater funding, and another spike in industry funds. The scare, as it is now being termed, has had the sort of impact any fearful threat to health and safety does: an increased focus on security, a boost in food surveillance and the gurus versed in the business of providing machinery. Strawberry Growers Association of Western Australia President Neil Handasyde revealed that growers were being pressed for increased scanning in the form of metal detectors.